Wendy Notely trained and an early childhood tracher and her work with Aboriginal and Torres Strait Islander children began in 1990 at Murawina Child Care Centre in Eveleigh Street, Redfern. her time with Aboriginal students is the inspiration for Aunty Wendy's Mob. 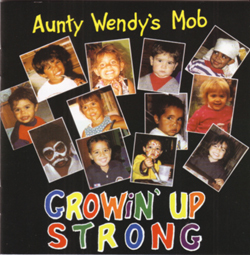 Wendy wrote a collection of songs in 1995 for the Koori kids in her class at Murawina to sing. The collection of songs honour Aboriginal children and celebrate Aboriginal cultures. The children and staff at Murawina loved the songs and encouraged Wendy to record them so that they could reach a wider audience. Wendy has demonstrated how a non-Aboriginal teacher can embrace and introduce Aboriginal perspectives into the classroom. Wendy Notely's work with Aboriginal children began in 1990 at Murawina Child Care Centre in Eveleigh Street, Redfern and is the inspiration for Aunty Wendy's Mob. The songs on the Happy To Be Me CD are for all children to enjoy, and celebrate Aboriginal and Torres Strait Islander cultures while educating all children in a fun and playful way. The songs express the joy and pride that lives strong in Aboriginal children and reflect contemporary interests and life experiences that all children can relate to. Wendy has demonstrated how a non-Aboriginal teacher can embrace and introduce Aboriginal perspectives into the classroom. 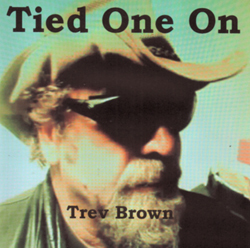 The title track of this album is a rendition of a song Trev Brown wrote about a conversation with one of his mates, who'd had a bender the night before. He put it to music and recorded it in his garage, 'Brumpton Manor'. "Looks like last night I musta Tied One On"...C'mon sing along! Also on the CD is the anthem song of the The Upper Coomera Cruisers Motorcycle club. Written by members Trev and his mate Keith "Stretch" Kerwin for the club, "Çruisin 'with the Cruisers", best way to beat the blues, Cruisin with the Cruisers, you dont need no excuse, we drinks a little bourbon, we drinks a little rum, sometimes we drink shitloads of beer and we have shitloads of fun.....". That says it all really, so listen to the album for plenty of fun. Bart Willoughby is well known as a member of No Fixed Address, he later formed his own band Mixed Relations which gave him the opportunity to come out from behind the drums and develop his music into a big sound fueled by some of the best musicians, both black and white, in the country. Bart has performed and recorded with artists such as David Bridie, Ian Dury, Jackson Browne, Captain Matchbox, John Trudell, Theresa Creed, Shane Howard, Yothu Yindi, Coloured Stone, the Warumpi Band, Tiddas and the Goanna band. Bart's 1997 solo CD Pathways also contained some pretty powerful tunes like "Ethnic Cleansing", "Message For Young and Old" and the title track. 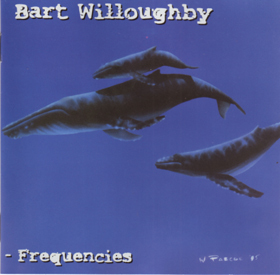 In 2000, most of the tracks from Pathways were re-released as part of this 2-CD set, Frequencies. 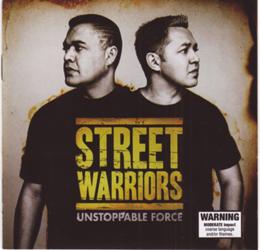 Street Warriors are well respected pioneers of Indigenous Australian hip hop. Unstoppable Force is their debut album. They have toured steadily and appearances have included major festivals such as The Dreaming and Woodford Folk Festival, Stylin Up and a string of NAIDOC dates and support to major artists such as 50 Cent and G Unit. Street Warriors have built a loyal following around the country on the back of their energy filled live shows, poignant lyrics and their unique musical messaged culminating in a nomination for Best Band at the Deadly Awards in 2008. This 1997 album showcases the diversity and talent of a young man who's love of life, and a passion for the music he plays, is unmistakable. 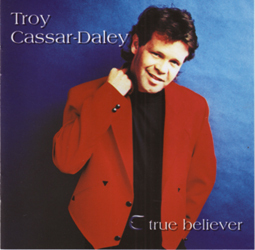 It is an example of Troy's ability to write and perform country ballads from deep in his soul. This is an Australian album of outstanding production and mature songwriting enhanced by the clean clear vocals of one of Country Music's finest talents. Tracks include; Good Woman's Love, She Wants, Little Things, I Can Get Used To That, True Believer, Ladies In My Life, Sweet Maryanne, You Will Believe In Me, The Wind Blows Over (the Lonely Of Heart), Lay Down And Dance, Bar Room Roses, Good Time Friday Night and Back Blocks Of Home. 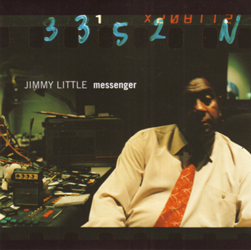 Messenger is a collection of contemporary songs reinterpreted through Jimmy Little's smooth vocals, was released in 1999. The album featured covers of well-known songs by artists such as Nick Cave, Ed Kuepper, Sunnyboys and Paul Kelly. Jimmy Little is a legend in the truest sense of the word. Australia's first commercial Aboriginal recording artist (in 1959) breaking down the barriers, his career spanning four decades as a gifted and graceful balladeer. Jimmy has commanded an astonishing assembly of Australian talent to contribute to his album, and the cream of Australian songwriting talent have allowed Jimmy to cover their own legendary songs. 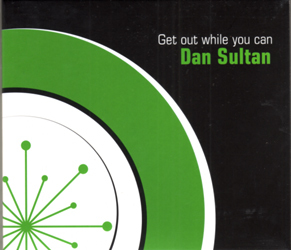 Dan Sultan is an extraordinarily gifted musician. 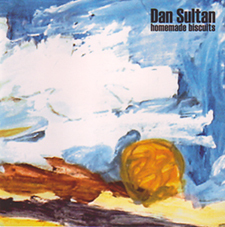 His debut album, Homemade Biscuits was released independently in 2006 to rave reviews. The sound can be best described as a mix of blues, soul, rock and country. The much anticipated second album Get Out While You Can was recorded in Melbourne by Jonathan Burnside using a myriad of vintage equipment to achieve a supremely warm and genuine sound. Sultan's career is about to explode thanks to various collaborations, touring, festivals and a starring role in the upcoming feature film Bran Nue Dae. 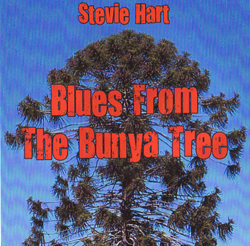 On this CD Stevie Hart sings of his lifes journey. A well known Aboriginal man with strong family and community connections throughout Queensland. He grew up in Brisbane and now lives in the Aboriginal community of Cherbourg, surrounded by family. He tells us of those that guided him when he was young and he tells us of those that guided him through troubled times in his life. Co-written and recorded by Greg McHugh and Rob Hawley - this dynamic acoustic folk album incorporates the beauty of guitars, banjo, mandolin, harmonica, bass and drums. It is then finished off with a three part harmonising blend with Jolene Rickard. The songs are guaranteed to touch your soul as they are developed and written based on life experiences. This CD is certainly the perfect choice to make any road trip more pleasurable. 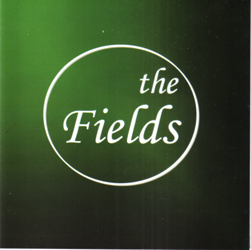 From time to time, you can still catch Greg and Jolene performing the distinctive sounds that are the Fields. Greg McHugh has written and played in bands since an early age, his musical abilities include drums, guitar and vocals playing for various rock, punk and folk bands throughout Brisbane and South East Queensland. He recorded his first album as the lead vocalist and guitarist in The Fields in 2005, which has been a fantastic stepping stone to what now defines him as a musician. 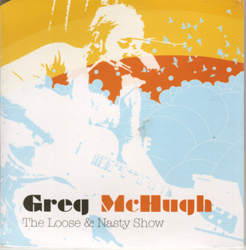 In 2006, Greg went on to pursue his solo career which became the birth of the The Loose & Nasty Show. Gregs music encompasses aspects of southern blues, roots, hard rock, and even punk. His songs are delivered honestly and humbly, touching on themes of love, surfing, conservation and good old fashioned fun! Greg has an amazing talent for writing inspiring and provoking lyrics, beautifully complimented by the thumping rhythms of the base drum and catchy melodies. 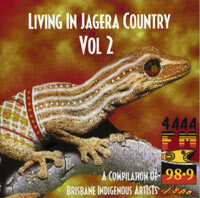 This album was recorded in the 4 Triple A studios - a compilation album of Indigenous artists living in the Brisbane area - each performing there own original material. With such variety of musical styles on this CD it presents a snapshot of the wealth of talent within the Indigenous community. 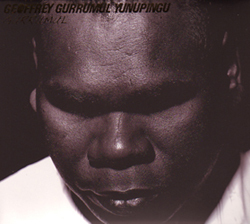 Blind from birth, Geoffrey Gurrumul Yunupingu is a powerhouse of musical creativity. Geoffrey, or Gudjuk as he is also called, is from North East Arnhemland. A former member of Yothu Yindi, now with Saltwater Band, Gurrumul solo excursions highlight his amazing talent as a singer/songwriter/musician, his beautiful voice singing the songs of his Gumatj country will never leave you. His solo performances are a rare treat and should not be missed. Dan Sultan is a great new talent that has emerged as one of this country's greatest performers with multi instrumental skills and great songwriting skills. Dan and Scott Wilson worked together to produce this great debut album. John Butler supported the production of Homemade Biscuits through his JB Seed Program, and Dave Graney's band supported the album launch. Xavier Rudd is another fan who has taken Dan on the road in Australia supporting his shows. Dan was also asked by Paul Kelly to record a song on the Kev Carmody tribute album with other artists including Bernard Fanning, The Waifs, and Tex Perkins amongst others. The band is Dan Sultan (guitar, vocals) Scott Wilson (guitar, vocals) Lazare Agneskis on drums and Jarrod Ross on Bass. At some shows they use a horn section and keyboard, taking them to a seven piece band. They are an absolute treat with their cool style of country soul edged songs with strong vocal harmonies and great playing. 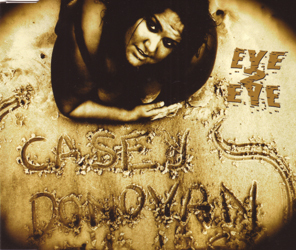 Casey Donovan is best known for winning the Australian Idol competition at the age of 16 in 2004. In 2007 her contract with Karma Management expired and her latest CD has been produced by her own managament company. Jessica Mauboy is the much loved and highly praised runner-up of the Australian Idol 2006 series. This CD and DVD set features her complete Australian Idol journey from Final 12 to Final 2 in one CD (Disc 1) and the DVD (Disc 2) includes film clips of her stage performances. Jessica has come a long way and this release is her first official release since signing to SonyBMG in late 2006, Jessica's vocal accomplishments are mapped out here on the aptly titled 'Journey'. 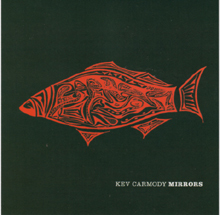 Australia's treatment of refugees, US President George W Bush and our reliance on technology has inspired this collection of songs by Kev Carmody. Some of the songs are a departure from the folk style songs he is famous for and could be described as a variety of techno/folk/punk/grunge.